Vitebsk is not only the most beautiful corner of Belarus, which can boast its unique history and rich traditions. It is a modern city with a developed transportation system, which creates all possibilities for ease of movement within the country and for international travelling. 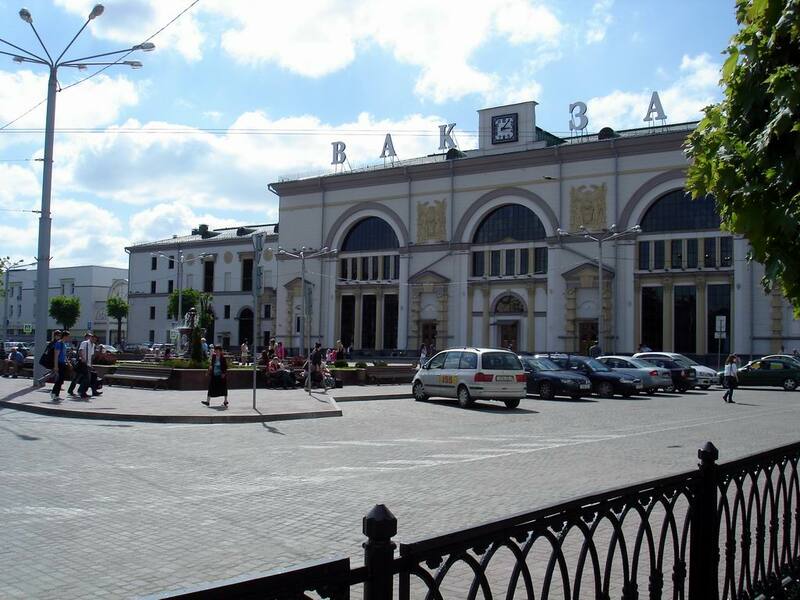 And one of the starting points is Vitebsk Railway Station. The railway station is one of the most beautiful monuments of Belarusian architecture where rich history and modern style balance, and the traditions of the past ages have acquired modern gloss and polish. That's why it joined the priceless treasury of Vitebsk attractions. The railway station appeared on the city map in 1866 - and since then it has become a life-changing place not only for Vitebsk residents, but also visitors of the city. The joy meetings and the sorrow of parting - the atmosphere in Vitebsk railway station is soaked with sincerity, warmth and hospitality. The feeling of comfort is perfectly complemented by wide windows and bas-relief, and the interior luxury is favorably emphasized by marble finish and rich classic chandeliers. Although the tangible luxury can impress, cozy atmosphere is not less important, which the walls here seem to be impregnated. 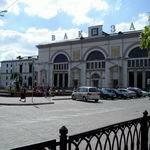 The railway station in Vitebsk has created all the conditions for the passengers to use the services easily as much as possible. Large displays with the train schedule, polite and welcoming staff of the station, fast ticket sale - that's exactly why not only the first meeting, but also the first separation from the city becomes so memorable, meaningful, and very, very affecting. Address of the railway station: 10-a Kosmonavtov str., Vitebsk. Information desk of the RW station in Vitebsk – 105, (+375 212) 378237. Reservations – (+375 212) 235235. Tickets delivery at home – (+375 212) 426205. Reception and delivery of baggage and cargo – (+375 212) 378466. The station duty – (+375 212) 379128. Bus - №№: 1; 2; 2А; 3; 4; 5; 5А; 7; 8; 10; 13; 13A; 14; 22; 24; 26; 26A; 28; 33; 34; 35; 36; 38; 40; 43; 44; 99;101. Trolley bus - №№: 1; 3; 4; 5; 6. You can download the train schedule of Vitebsk railway station (in Microsoft Word) by clicking here. The schedule on this page is not official. Check the information at the Information Desk of the railway station (phone 105, (+375 212) 378237), or on the official website (www.vitebsk.rw.by)!